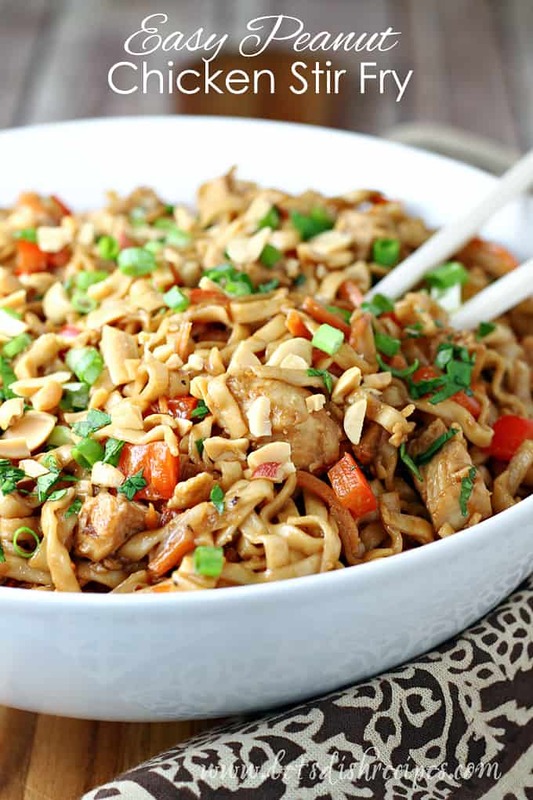 EASY PEANUT CHICKEN STIR-FRY — Rice noodles, chicken and vegetables are tossed in a zippy peanut sauce in this Asian inspired recipe that’s on the table in about 30 minutes. 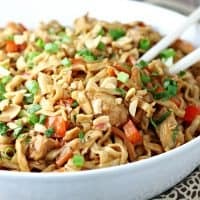 I love recreating Asian take-out dishes at home, and this Easy Peanut Chicken Stir Fry is a favorite with my husband and kids. And a favorite with me because it’s so easy to make! I also love that this dish is so versatile. You could easily substitute beef, pork or shrimp for the chicken, or leave out the meat and go vegetarian. And the sky is the limit when it comes to the veggies you could use. We like to make this with wide rice noodles, but if you’ve got some dried Ramen noodles lying around (I live with teenage boys, so that’s a given), those work well in this recipe too. And of course you can adjust the heat by using more or less red pepper flakes. 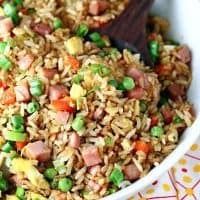 This is a great recipe for using up any odd leftover meat or vegetables you might have in the refrigerator. And of course it goes without saying that making your own take out is always better than ordering it from a restaurant. And since this stir-fry is on the table in about 30 minutes, you might even save time making it yourself. My favorite part of this dish is the peanut sauce. My husband isn’t a big fan of peanut butter, but even he doesn’t mind it in this flavorful, hearty noodle recipe. 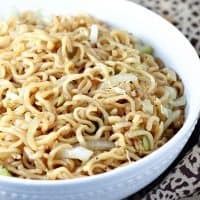 I like to serve toppings like chopped green onions, fresh cilantro and crushed peanuts on the side, so everyone can garnish their noodles to their liking. 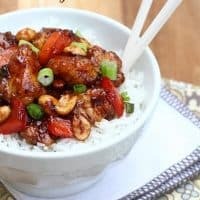 This Easy Peanut Chicken Stir Fry is on the regular menu rotation at our house, and I think it will become a favorite at your house too! 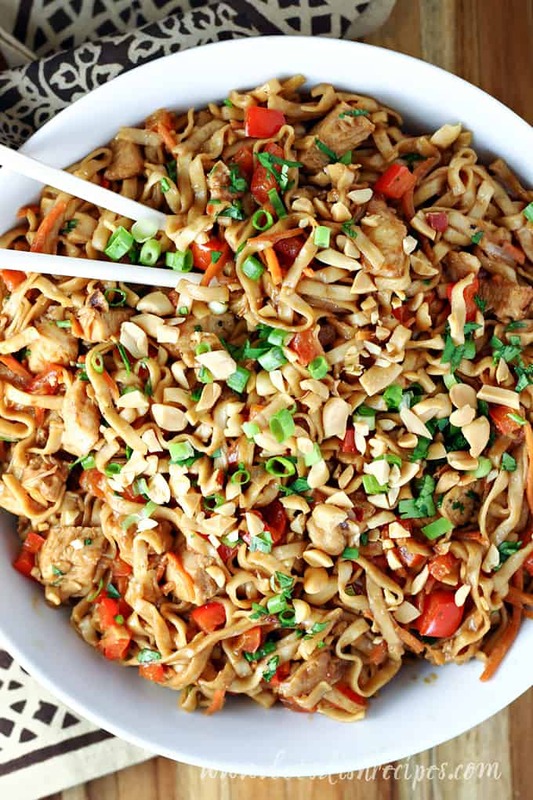 Be sure to save this Easy Peanut Chicken Stir Fry recipe to your favorite Pinterest board for later. Rice noodles, chicken and vegetables are tossed in a zippy peanut sauce in this Asian inspired recipe that's on the table in about 30 minutes. Cook noodles according to package directions. 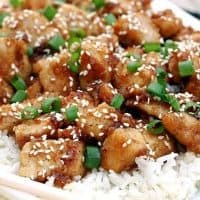 Meanwhile, in a small bowl, combine the water, soy sauce, peanut butter, brown sugar, rice vinegar, garlic, pepper flakes and ginger; set aside. In a large skillet or wok, stir-fry chicken in 1 tablespoon sesame oil until no longer pink. Remove to a plate and keep warm. 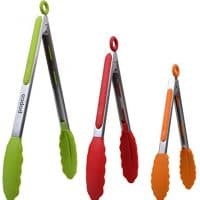 Stir-fry red pepper, onion and carrot in remaining oil for 4-6 minutes or until vegetables are crisp-tender. Add sauce and cooked chicken to skillet. Add noodles to skillet and toss to coat evenly with sauce. Garnish with green onions, chopped cilantro and peanuts, if desired. 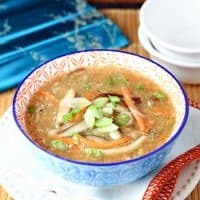 This flavorful Chinese soup, featuring peppery spices and tangy vinegar, is the perfect accompaniment to any Asian meal. 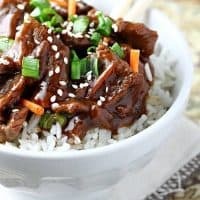 Try adding meat or tofu for an even heartier dish. I’ll be serving this over the weekend. Looks amazing! You mentioned recently that you got a new wok. It’s time I did the same. 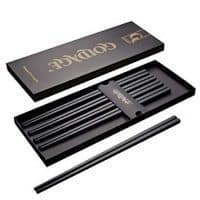 Do you have any recommendations or tips about selecting a top notch wok? Thank you! 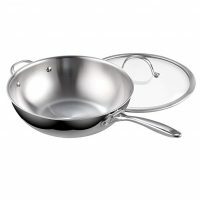 The wok I have is the one pictured in the recipe card. I love it because it’s also great as an all purpose frying pan. 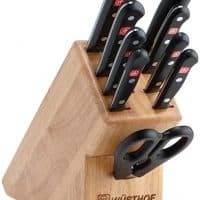 I’m a big fan of any kitchen tool that has more than one use!